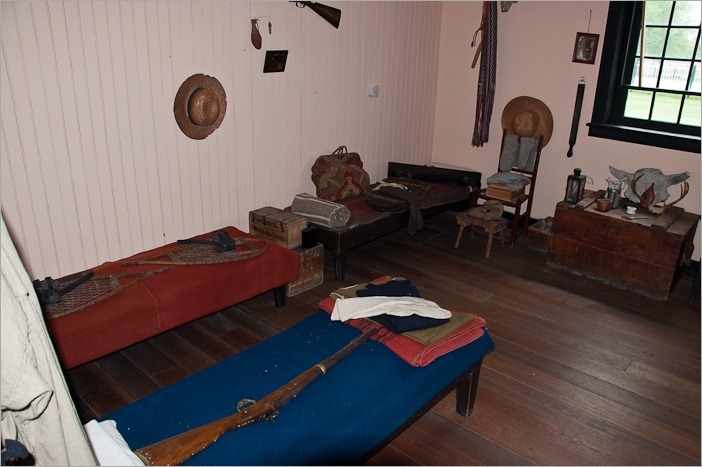 When I visited a Fort in the French Alps called Mont-Dauphin, I expected to visit the place like a museum. Many things to see and to integrate. Didn’t have much of a camera at the time (a Canon Ion) so no pictures left. The camera broke and the disks are now unreadable. The curator of the Mont-Dauphin Fort looked like a Spaniard with a little beard. That was the closest I got to being immersed in the old time of the fort. Here in Manitoba they do things differently. Here, if you want to “travel in time” then you will get your money’s worth. You enter Fort Garry by a resolutely modern building, guarding the real stuff from view off the road. Once you pay the little fee of 7$ to go further, you find yourself outside again, on the other side of the building. There you will be greeted by guides (there are lots of them around) in costumes of the period. It seems. The original costumes were woollen but the guides here preferred the comfort of cotton replicas. Sensible choice for the summer. Everything is in style, from the ox carts to the people who “live” inside and around the fort. Until now, nothing seems out of place, it’s like watching a TV show about some old place. But here comes the catch. The “inhabitants” play scenes from the old time, based on documents that are kept from the period. Every single character they play has existed in that period. Of some people we remember the names, like governor George Simpson. Some people are portrayed by their function only, like the women with the soap box above. 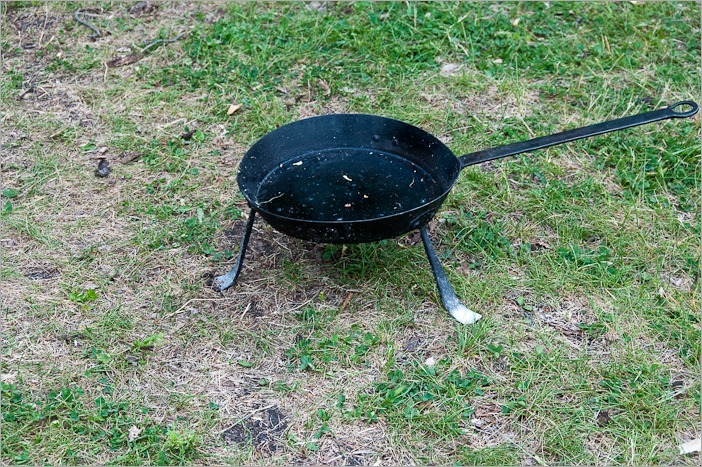 “We have to cook our meals on something comfortable.” The more you talk with the people in costume, the more you get disoriented. Until they start running away from the man with his “Lightning in a box”. In my case this was my camera and flash. 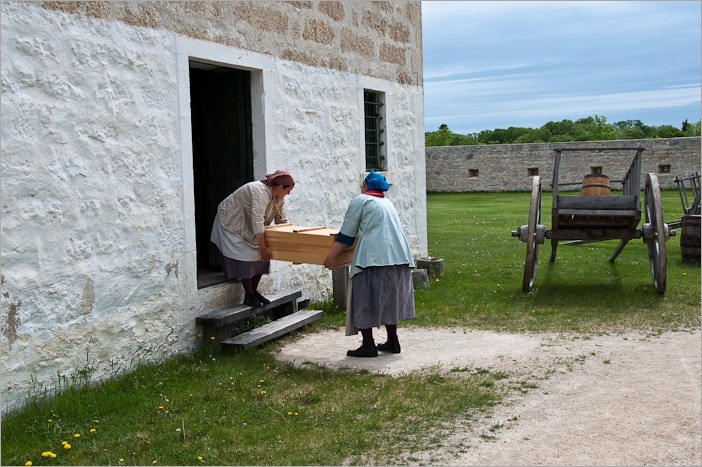 Lower Fort Garry was planned and built around 1830 by the Hudson’s Bay Company. As you already know, the Hudson’s Bay Company was incorporated (started) on May 2nd, 1670. It started as a wager about finding a better route to get furs from North America, than the one through the well know Saint Lawrence route. The Nonsuch was built for this purpose alone. 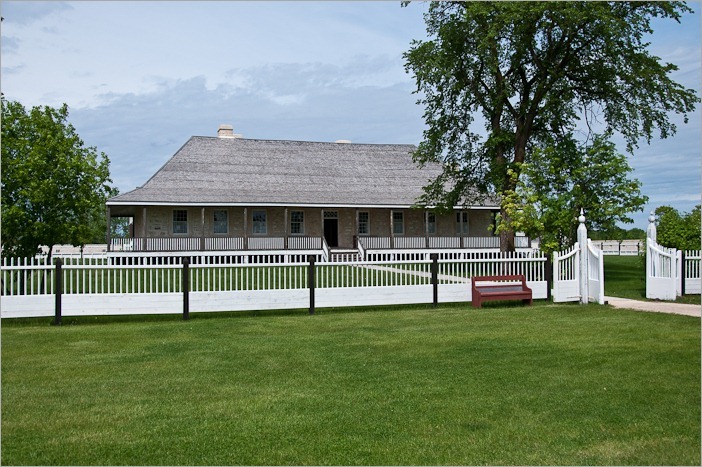 A fort was built near The Forks in Winnipeg to serve the company as a trading post and for protection against attacks and such. 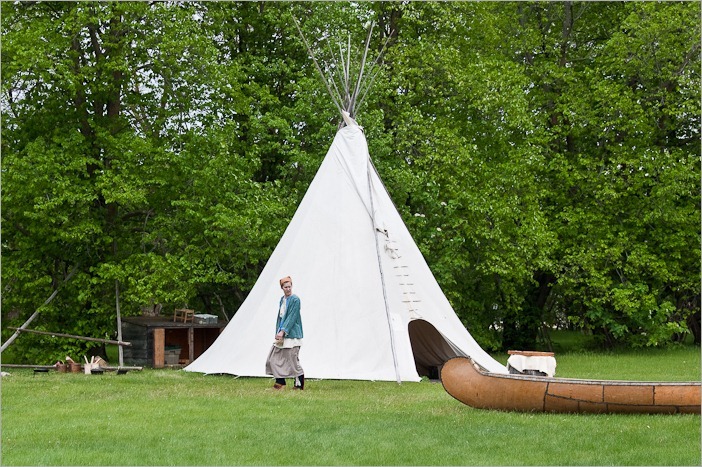 The Forks in Winnipeg is a thousands of years old trading place on the confluence of the Red and Assiniboine rivers. 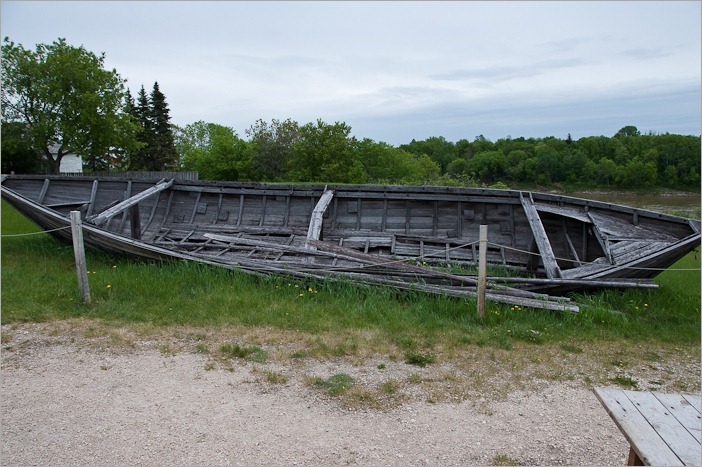 It was the combined “effort” of these two rivers that sealed the fate of Upper Fort Garry. 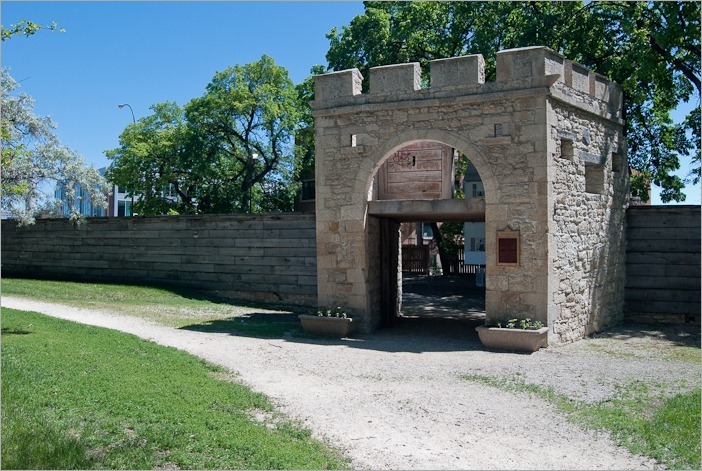 Upper Fort Garry in Winnipeg did not survive the catastrophic flood of 1826. A new fort was to be be built, and preferably on a safer spot. About 16km downstream on the Red River, the spot was found. Governor George Simpson decided that it was to be a stone built structure, instead of a wooden dwelling. 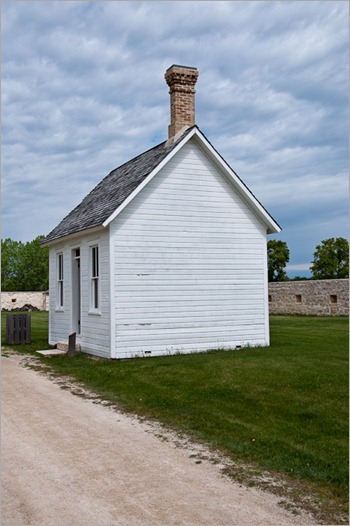 By 1830 Lower Fort Garry was operational. The stone walls around the fort as seen in the opening picture were mere token walls. They were built as a “protection against the natives who could attack”, until everybody understood that the “natives” were the ones they were trading with. The walls were completed in 1840 and in some places they are high enough to jump without any help. They stayed as a token of strength, to impress the visitors. A gun on the bed, and the bed in a room with many other beds. 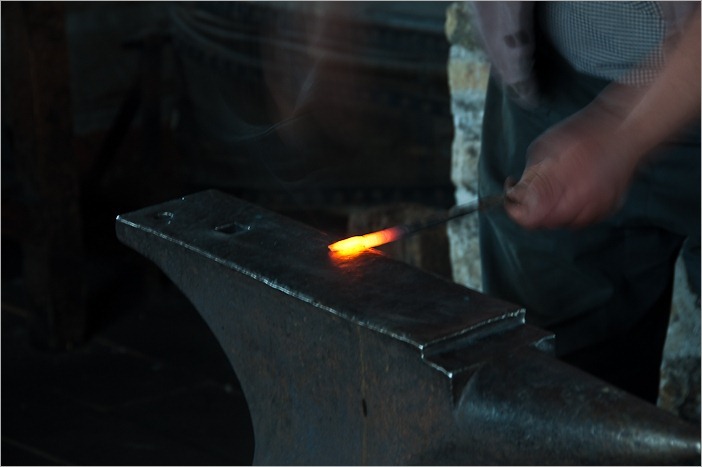 This was the place that was given to the craftsmen that came to work for and serve the HBC. 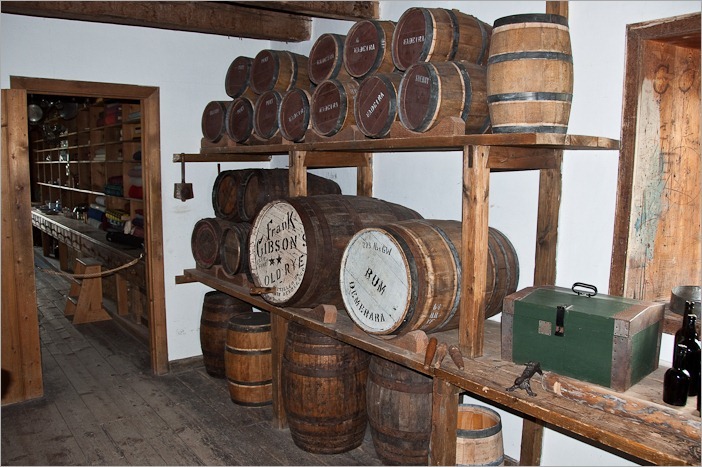 Alcohol consumption was not allowed on the premises, under punishment of expulsion. I guess everyone who worked for the company was happy to keep his job. All the buildings contain original artefacts and can be visited freely. Everything is open. 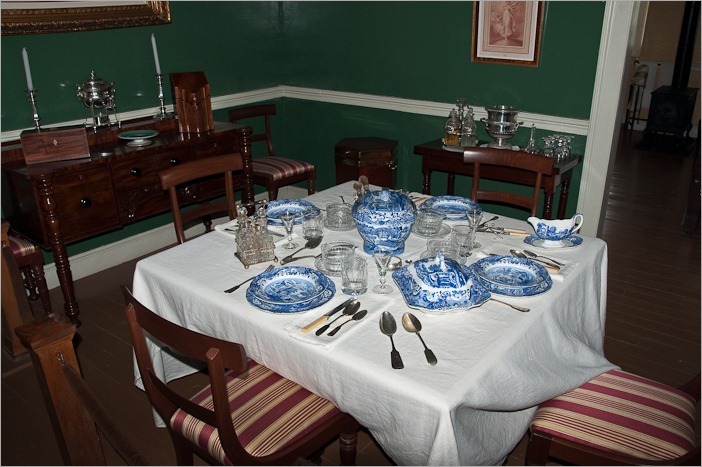 You get a complete immersion in the lifestyle of the period. 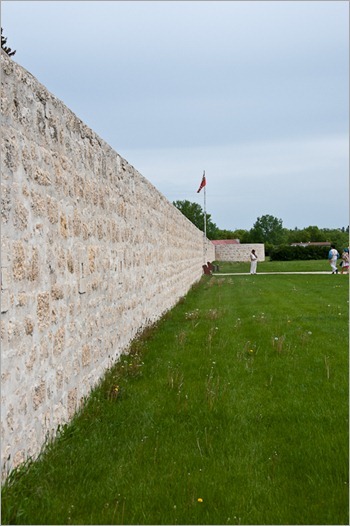 Lower Fort Garry was active for the HBC until 1870. After that, the place has had many other occupants, although the HBC remained proprietor until 1951. It was used as a federal prison, a mental health institute, a training base for the Royal Canadian Mounted Police and a Country Club. In 1951 the Hudson’s Bay Company donated the fort to the federal government. In 1961 started the work to restore the fort in its original glory, as when it was first built and maintained. Now it is a treasure of the Canadian History. A must see if you want to understand a bit of the surrounding history and culture.